You never forget your first motorbike, no matter how good or bad it was, that machine opened up your life to a whole new world. For most a limited budget and a young age means riding something that looks terrible, breaks down often and leaves oil up your leg. So you save your pennies for something better. Or maybe you have a little more cash to play with for your first ride. Sure you could buy one of the many characterless, learner legal “sportsbikes” offered new by any of the manufacturers. 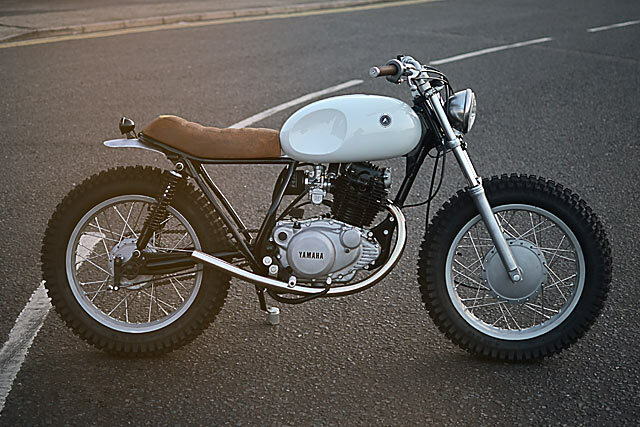 But there is another option and the UK’s Auto Fabrica have got it just right; a Yamaha SR250 known as ‘Type 4A’ that’s custom cool, a perfect first motorcycle and means nobody else on learner plates will be rolling just like you. It’s that time of year. A time when our Northern Hemisphere friends are enduring the slow, steady descent into winter. And while they sadly put away their bikes and hunker down for many months of snowy oblivion, we here on the bottom the of planet are doing just the opposite. That’s right – summer is coming. You can smell it in the air, and unless you haven’t cleaned your leathers from last year, it’s probably the sweet perfume of spring flowers. 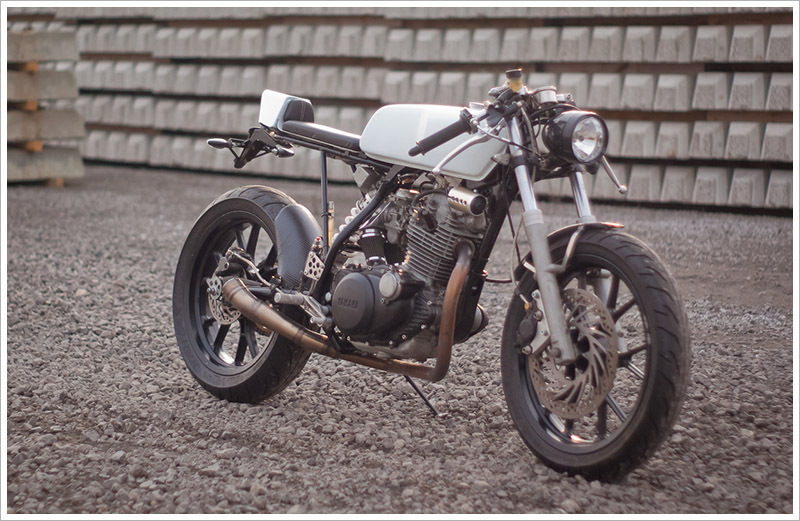 That’s why this bike instantly caught our attention. There’s something about it that screams summer like a Tourette’s surfer with a loud hailer. The only thing missing from the shots is a case of cerveza, a beach, and a few surfboards. 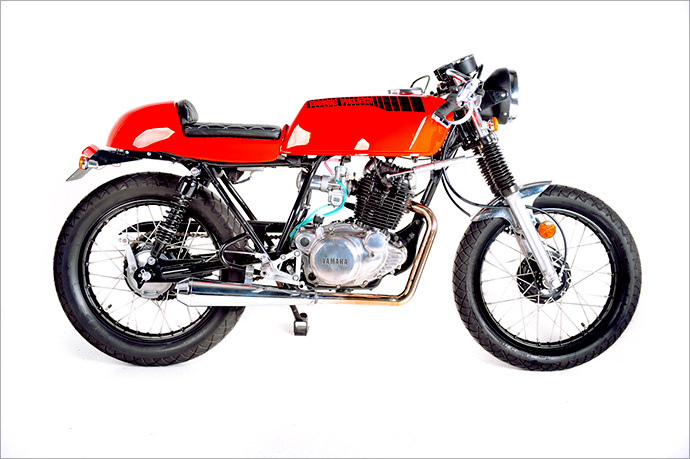 Like a warm breeze, here’s the latest from Spain’s La Raíz Motorcycles. If you have ever tried to cut your own hair then you know how things can get out of control pretty quickly. I’ve tried it and it usually only goes one way. You just want to trim a bit off the sides and clean up the back, next thing you know you have totally butchered your locks and there’s no other option than to shave your head. 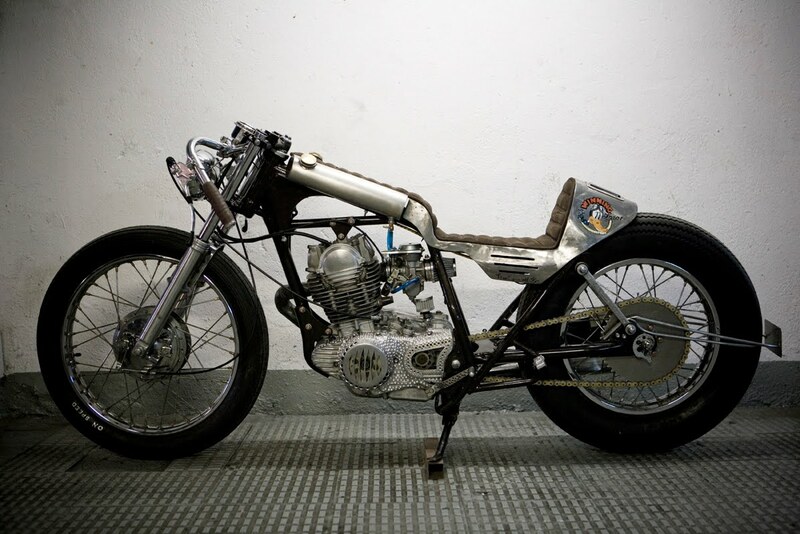 That’s kind of what happened with this SR250 build. These part time builders from the newly formed First Notion in Belgium decided to “do a few things” to their trusty commuter bike. The next thing they knew they had stripped the bike down and were using carbon fibre, Italian leather and other fancy pants materials. 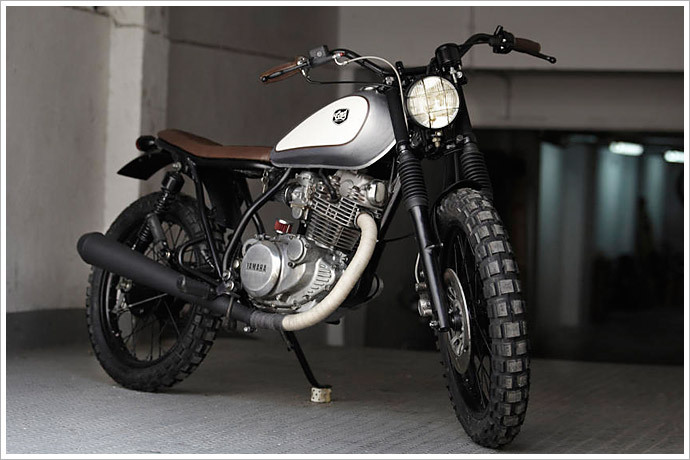 The final result is this super slim SR250 with the best crew cut we have seen. Of all the wonderful things that the internet has given us, you’d be hard-pressed not to admit that anonymous user comments are right at the bottom of the heap. It magically seems to be able to bring out the worst in us and will often turn a calm, rational, intelligent adult into a name-calling, boasting, irrational, long-winded idiot. Of course, the fact that you can do it with almost total anonymity is the main cause of all the trouble – it’s like the 80s equivalent of a prank phone call where you get time to rehearse your lines. In the midst of all this dissing and lowest-common-denomenatorism, it takes a brave soul to stand up and be counted. Our hats are off to anyone who puts their bike where their (keyboard) fingers are. And that’s just what our next builder has done. And do you want to know the real icing on the cake? He’s done it twice in one week. Assembled Pipeburn bitchers and moaners, behold a man who talks the talk and walks the walk. 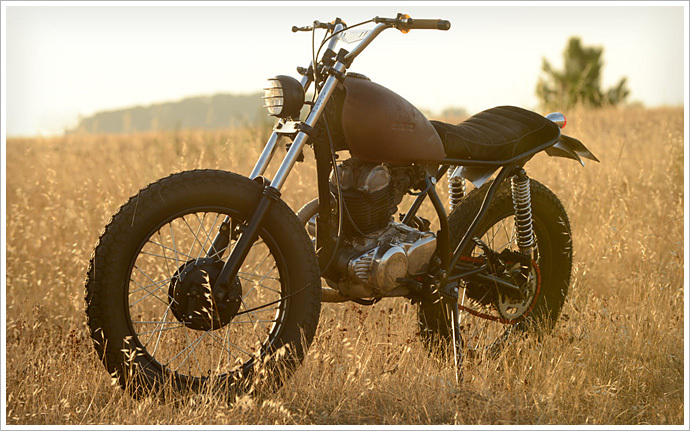 Meet frequent commenter Rex Havoc and his lunatic Yamaha SR 250.